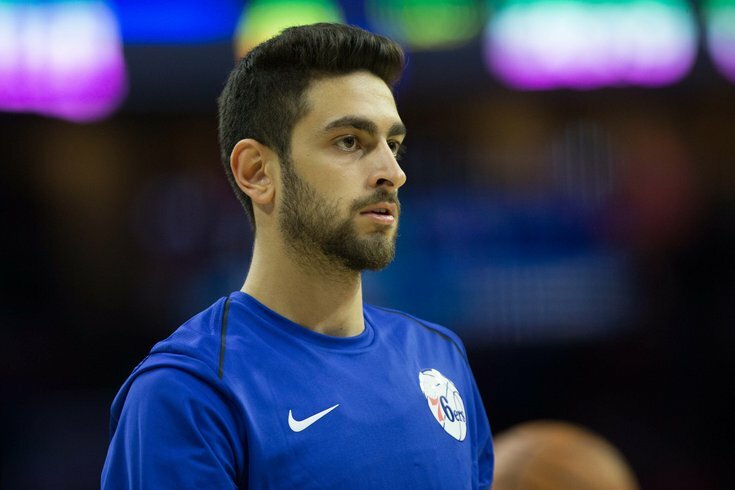 Philadelphia 76ers guard Furkan Korkmaz before action against the Memphis Grizzlies at Wells Fargo Center. Let's get it out of the way right out front — if you are watching or following Summer League caring about wins and losses, you are doing yourself an extreme disservice. Yes, in a normal recap, how and why Philadelphia lost a tight game to the Boston Celtics would be the focus of our story here, which I would go into painstaking detail to unpack for you. But in case you're new to this stuff, Summer League is, charitably, a different brand of basketball. The floor spacing tends to be abysmal, the energy is a little misplaced, and you're looking for signs of life more than anything else. It's not all that dissimilar from the experience of watching the regular season Sixers during the leanest years of the rebuild — you're hoping for good process, knowing the results aren't likely going to be pretty. So with that in mind, let's run through what you may have missed if you decided to have a few cold ones on a Friday evening in early July, instead of hanging in to see what the summer Sixers are up to. Every year, second-year players show up to Las Vegas that quickly look like they're simply too good to spend much time playing in the offseason league. The Sixers, despite having a ton of exciting prospects over the last half-decade, have never really experienced this phenomenon, and the players who have ended up returning for more Summer League runs have raised concerns about whether they're good enough to stick in the NBA at all. But Korkmaz finally gave the Sixers the sort of performance you can look at and say, "Okay, I don't think that guy needs to spend a whole lot of time running around with undrafted free agents." Korkmaz went absolutely ballistic on Friday evening, dropping 40 points on just 18 shots and drawing ooh's and aah's from the crowd by the time the pivotal fourth quarter rolled around. He was walking into made threes in transition, killing the Celtics on catch-and-shoot plays, and sending a message that he may end up being a factor in Philadelphia's rotation this season. Before we get too far ahead of ourselves, Korkmaz still comes with a lot of defensive concerns attached. He has definitely put on some weight but will still be giving up pounds to a lot of the wings he has to guard at this level, and that alone caps his ceiling a decent amount. Still, what we saw from Korkmaz on Friday night was more than just a shooting barrage. He was confident putting the ball on the floor and attacking the basket — hence the 15 free-throw attempts — and even showed a little vision as a passer while in attack mode. The Sixers desperately need versatile offensive players, and if Korkmaz is even functional as a passer off-the-dribble it unlocks some things for their offense. Again, it's a single Summer League game, but it's easily the best performance Korkmaz has had on American soil. Great start to his Vegas trip. Philadelphia's top first-round selection from this season, on the other hand, had a much quieter night at the office. Smith managed just seven points on 3/7 shooting from the field, and his box-score impact across the board was fairly underwhelming. Some of this may have been a product of instruction — I was a little surprised at how little he ended up crashing the boards even on defense, and it looked like the coaching staff may be getting him prepared to provide outlets for a guy like Ben Simmons. This is part of the transition he'll make sliding from often playing power forward to playing as more of a 2/3 blend, and it might not be the cleanest switch to start with. Once he's on the court with players like Simmons, some of those cuts from Smith will turn into lob plays and easy baskets. He didn't throw down one of his signature tip-ins against the Celtics, but he showed impressive body control in mid-air on a couple of his finishes around the basket. Where he looked most at home was on the defensive end of the floor. There were a few lapses, but for the majority of the game Smith showed the same excellent instincts for shutting down plays before they could develop. What's more, the versatility that some (including myself) were worried about being muted at the next level appeared to translate pretty well. One posession that jumped out in particular: this sequence in the second half, where Smith ended up switching onto both of Guerschon Yabusele and Semi Ojeleye. He never strayed far enough from his assignment to give them space to operate, but never got close enough to risk fouling. Ojeleye ended the possession with an extremely difficult make, but it was a sequence the Sixers will point to on tape as a reason they brought this guy in. I would like to see him a lot more involved in the offensive gameplan during Summer League, as this is the time to let him try (and likely fail) with his handle before the games start to actually matter. After the Sixers made the decision to exclude Fultz from Summer League festivities, a lot of people (myself included) assumed Fultz would remain in the background during the mid-summer gathering in Vegas. But there last year's No. 1 pick was prior to tip, hanging on the sidelines with teammates and rooting his buddies on as they took on an archrival. This drew a surprising amount of scrutiny on social media from both fans and reporters who seemed irritated at the idea of Fultz being in Vegas and not playing. These screams only grew louder when Fultz stuck around for the games that followed for Philadelphia, and ended up videobombing a Luka Doncic interview by waving and yelling, "Hi Mom!" in the background. Without publicly shaming the individuals who were doing this, there was a fair amount of concern trolling about whether Fultz takes all this serious enough to be great, in addition to calling his completely harmless antics a "bad look" for he and the organization. I would say I know more about Fultz and the year he had last year than 99 percent of the general public and the various reporters who cover the league with me. I completely understand the anxiety about Fultz's game and the potential lost value he represents if his jumper never recovers, and I know fans are not going to chill out until he's comfortable making threes in games again. But for the love of all things sacred, there needs to be a collective deep breath here. He's a 20-year-old kid who had a strange and often publicly embarrassing rookie year, who by all accounts is putting in the work to get back to where he needs to be. Contrary to what a bunch of goons on social media would tell you, he loves basketball, and that's a big part of why he spent a Friday night in the summer being around teammates and the game. Every moment of someone's life should not be working with a stone face on, and the expectation we collectively have for athletes (particularly ones who struggle) is ridiculous. I'm as competitive as it gets when it comes to the job I do around here vs. peers in the industry, but if I have a slow or tough week I'm not going to shut myself away from the world to prove a point to no one in particular about how "serious" I take my job. Life is about balance, and Fultz being a goofy 20-year-old has no correlation to whether he's going to get his jumper back or not. Maintain high expectations for this kid and hold him accountable for his success or failure, by all means. But if you're the sort of person who feels the need to get on their high horse about his mere presence in Vegas, I suggest seeking more joy in your own life. I'm not sure if Philadelphia fans know they are a little bit spoiled by the home broadcast, but it is quite jarring hopping from Marc Zumoff and Alaa Abdelnaby to the Summer League crews for NBA TV and ESPN. Last night the Sixers were treated to the stylings of Seth Greenberg as the color commentator. That included the following: calling Landry Shamet a "second-round steal" (he was taken in the first round), debating with no one in particular about Ben Simmons being a "redshirt rookie" (he was just a rookie), musing about whether or not people should pronounce Luka Doncic's name the way he tells people it should be pronounced (how is this even a debate? ), and suggesting the Sixers traded Mikal Bridges because of inside information they had about how good Korkmaz is (??????). I understand Summer League basketball is not the most exciting thing in the world to watch, and there's a tendency for the announcers to err toward verbal diarrhea as a result. But I promise you that the people who are invested enough in the Sixers or Celtics enough to watch a bunch of non-roster players run around on a Friday night in July do not need a bunch of empty platitudes or inaccurate commentary about players they have at least a decent grasp on. The game speaks just fine. There was a player in the midst of a 40-point game, nobody cares whether you think Donovan Mitchell was the "real" rookie of the year.